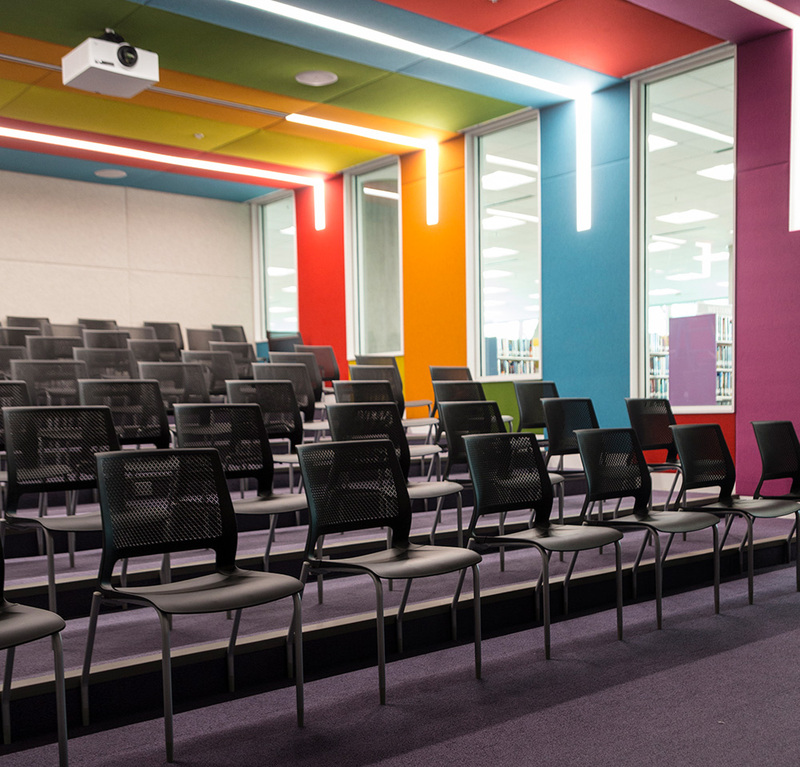 As industry leaders in visioning, programming and planning for the library of the 21st century, we here at Margaret Sullivan Studio are often asked about the latest trends in library design. Certainly there are specifics, but ultimately, the trend is to design for positive experiences. 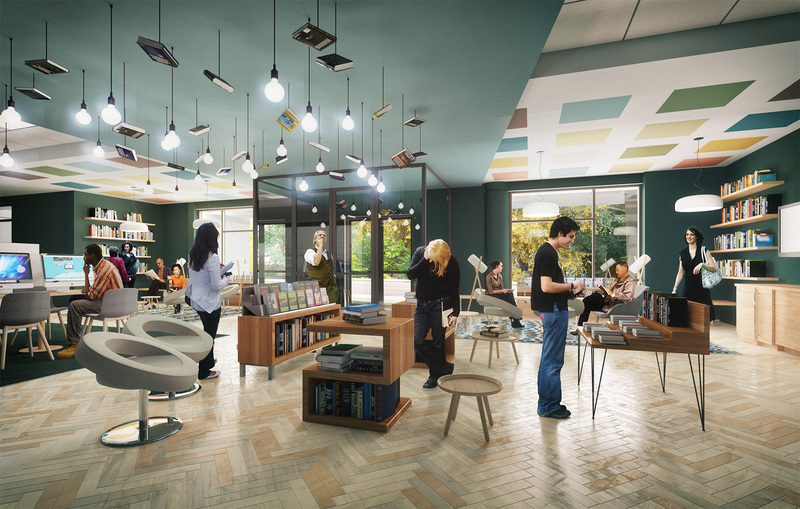 We want to design spaces that make the patron, customer and library staff members feel good about who they are and who they can be. The Library of Our Future Is About Being a Wonderful Place! Think of the places that you like to go and that make you feel good. It might be the local bar because everyone knows you, or perhaps it’s the local coffee shop because you are greeted with a smile, a cup of coffee and a song you like playing in the background. Or maybe you miss the local independent bookstore because they knew exactly what you wanted to read before you even walked in the door. Think about the perfect “third place” and what you enjoy doing when you go there. City dwellers like us may even have several of these places. I have one coffee shop where I like to read the paper on Sunday morning and another coffee shop where I like to do work on the weekdays. As a single parent with part-time custody of my children, I spend a lot of time at my neighborhood pub because I enjoy the company. Sometimes I’ll go there to catch up on e-mails, and sometimes I’ll have dinner or a glass of wine. And on occasion I take my children there for brunch. With each one of those three uses, I sit at entirely different areas that each have their own types of furnishings, lighting and look and feel. We believe that libraries should be as flexible as these neighborhood third places. They should create a variety of spaces and places that support our complex moods throughout the day, make us feel good about being there, and most importantly, bring the community together for shared experiences. The 21st-century library is a social condenser of contemporary society and must be designed intentionally to foster community advancement. It’s a complex design problem. In the past, designing spaces for flexibility has resulted in not only libraries designed as a “warehouse for books,” but also a warehouse for furnishings on casters that librarians spend way too much time putting back into an original configuration. This is not to say that we are not a fan of wheels! We love them, but they cannot replace designing for intentionality. 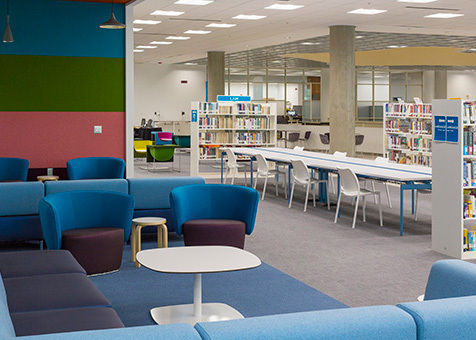 True flexibility in a library design results in a variety of spaces and places that foster activities, with select furnishings, technology and special equipment that enable a positive outcome. Toss in an appealing look and feel and you will have a 21st-century library that your community will love and call home. Placemaking is a multi-faceted approach to the planning, design and management of public spaces. Placemaking capitalizes on a local community’s assets, inspiration and potential, with the intention of creating public spaces that promote people’s health, happiness and well-being. 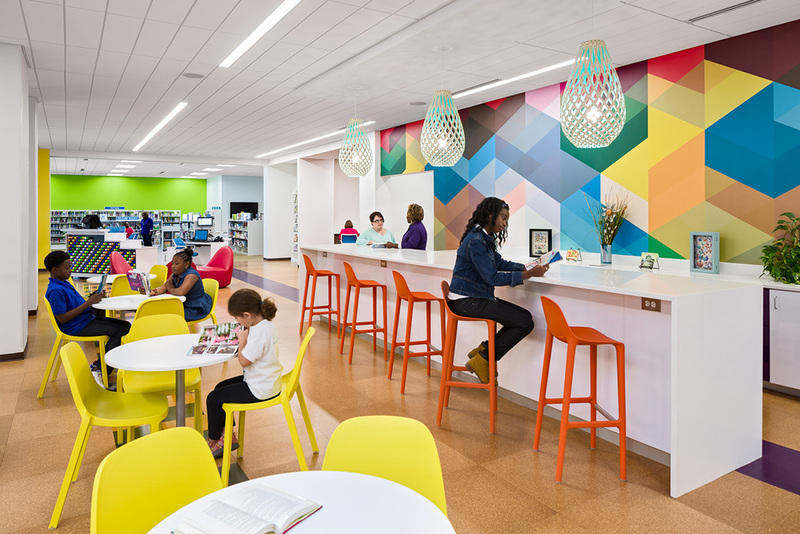 As leaders in creating new methodologies for library physical space design, we have incorporated placemaking principles into our work, calling our approach “Library Placemaking.” Placemaking is important because it is holistic in its design approach. At its core, it designs the space around the human experience, positioning this experience above all else. Placemaking considers activities, interactions, tools, technologies and physical space design equally to create environments that nurture positive experiences and contribute to culture, health and a vibrant community. Specifically, we have shifted from creating a program based on components (i.e., books, tables, chairs, computers, reader seats, lounge seats, etc.) 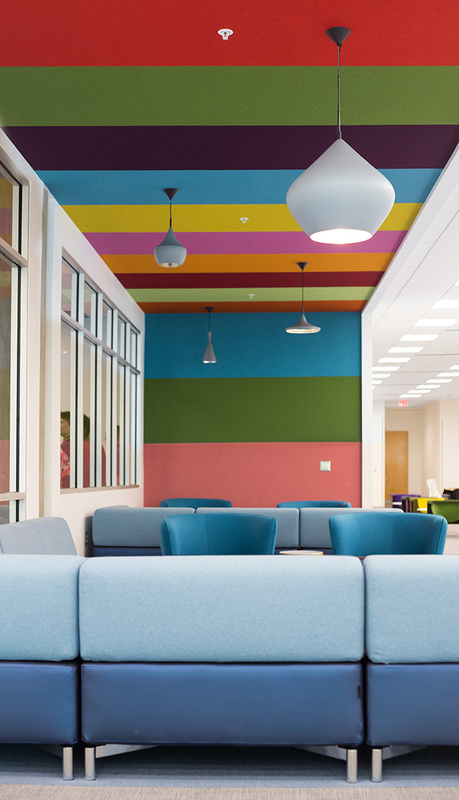 to creating a library designed around spaces to foster activities and evoke positive feelings. Each recipe is unique, and it is created from a highly collaborative process with the client, the community and key stakeholders. Incorporating placemaking principles, we have designed the 10 essential places in a public library to foster community. 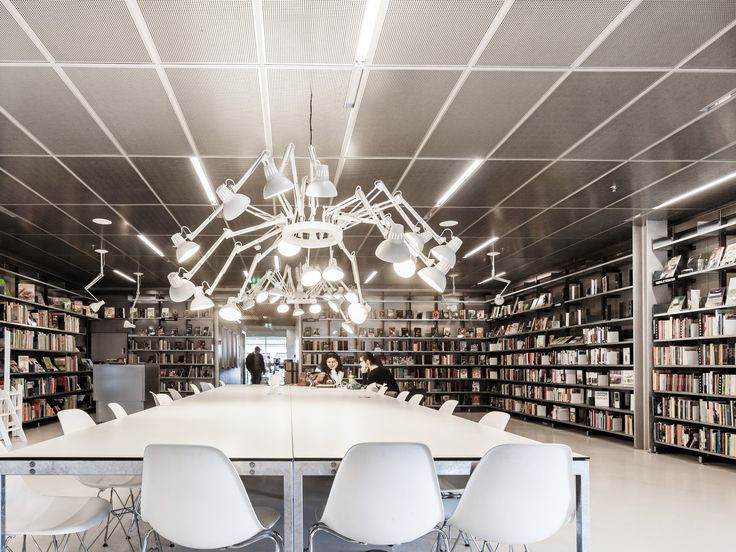 These places are scalable, and no matter the size, shape or location, your library can embody aspects of all of these components. This is a place that is inviting, approachable on all sides, and full of information or people who know where to find it. 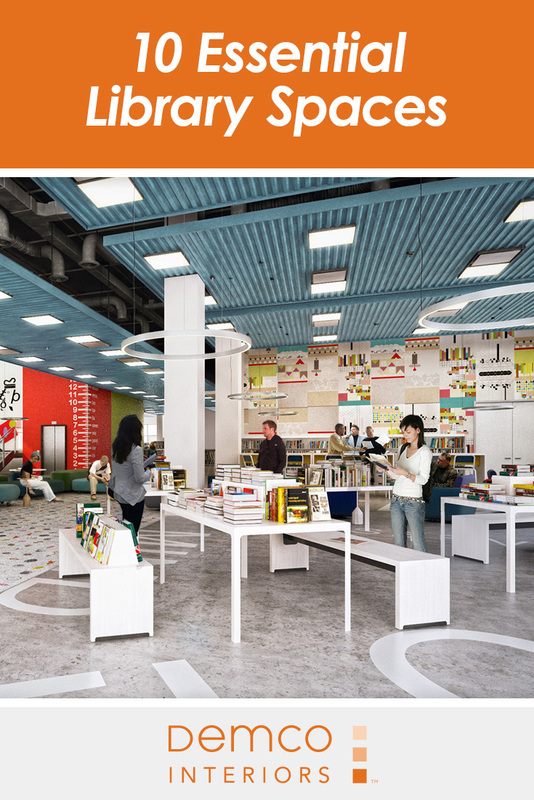 The most invigorating welcome spaces are equipped with clear signage, retail-like displays and anything that promotes the activities and programs at the library. This social space should encourage both conversation and solitary reading, as well as relaxation. Music should play in the background and there should be a variety of table, bar and lounge seating for the community to enjoy. This is a dedicated retail-like area designed for browsing new materials, popular materials and community-based art and displays. The area should be designed for customers to find “just what they are looking for” and should foster browsing and serendipitous discoveries. Although we have designed and specified retail display furnishings, our clients have found that the most successful (and flexible) way to showcase new materials is to simply create attractive displays on tables. When located at the entry of the library, new books, fresh picks and current themes will just fly out of the library. This is a lively place for all members of the community to gather together. 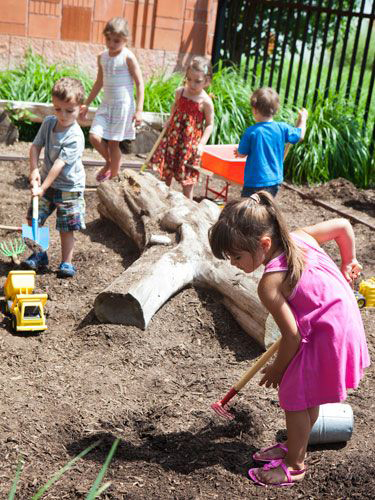 The casual environment should promote intergenerational interaction, exchange and connections. The intergenerational living room should have a variety of seating types for all ages and users, and should be arranged in a u-shape. We will often specify modular sofas and lounge seating, coffee tables and floor lamps to evoke a domestic scale and furniture arrangement. Card tables are also great in this location for playing board games. 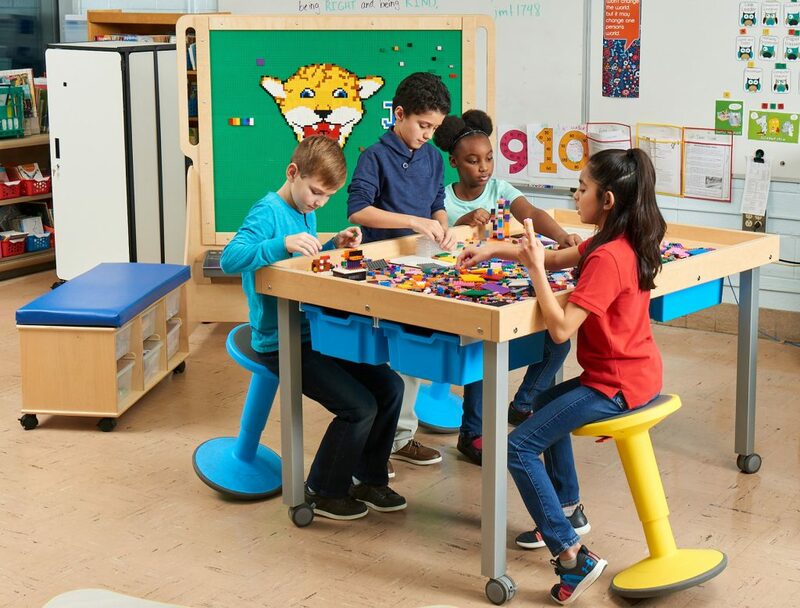 A messy space can be a media lab, tinker lab, art studio or any brand of makerspace equipped with the latest tools to turn ideas into reality. 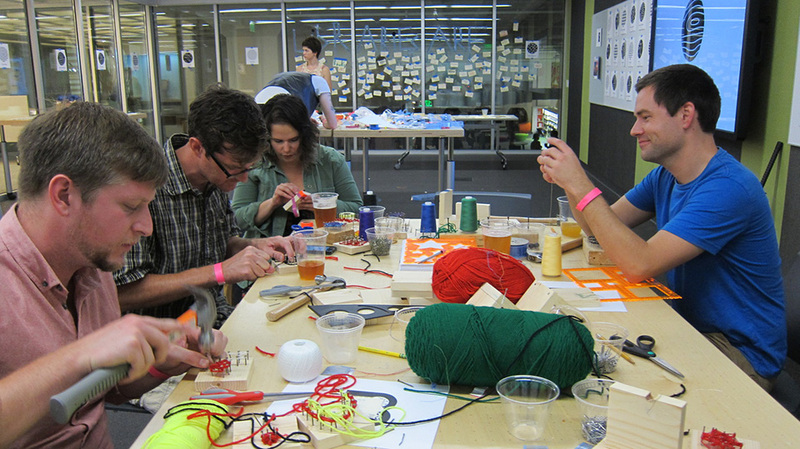 The messy space should promote content creation and experiential learning for all in the community. Studio tables and stools are great for the messy space. We often will specify height-adjustable tables with butcher-block tops. We also like the tables with marker-board tops for collaborative ideating. Built-in storage, countertops and sinks are also a plus for all of the activities that will take place here! 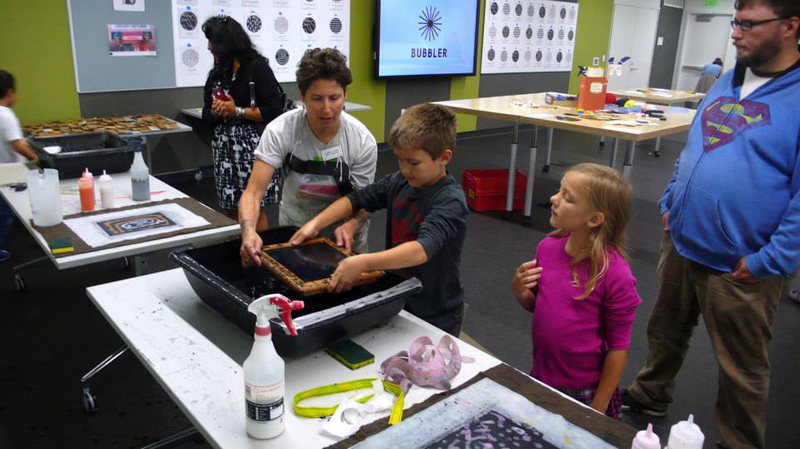 Take a tour of The Bubbler at the Madison Public Library to see how fun getting messy can be! Want to make your vision a reality? 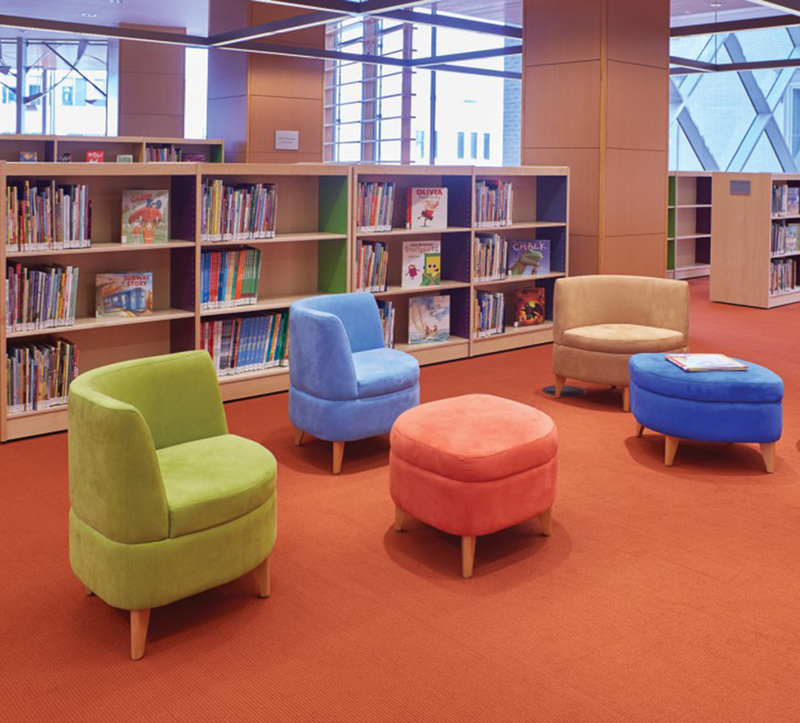 Partner with Demco interior services experts to bring the latest and greatest to your library and meet your patrons’ needs. This is a large program room designed for flexible programming. This room can host community events, meetings, performances and any number of large gatherings. When not in use for programming, the room can be set up for public use, extending the function of the intergenerational living room. 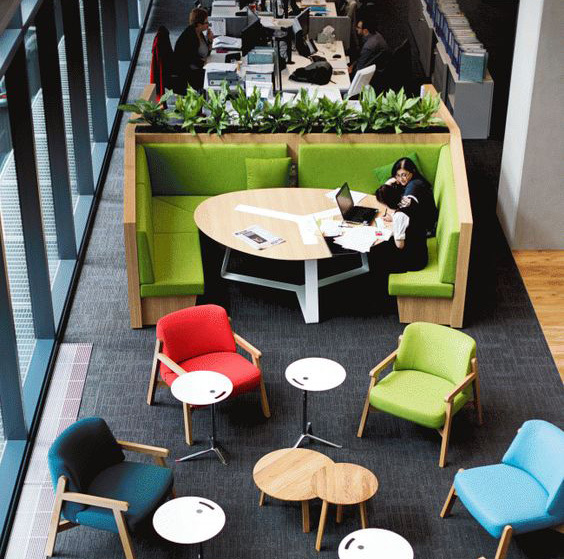 Stacking chairs, nesting tables and sufficient storage are all key to a successful meeting room. Increasingly, we are also lining the perimeter of the rooms with high-top café tables and chairs and lounge seating to make these rooms easy to use when not being programmed. This is a dedicated room primarily for adults to gather for reading and respite. The room should also be able to be used for book clubs, garden clubs, travel clubs, history clubs and writers’ groups. A large round table that seats 8–10 people is a great piece to have in this room, along with sofas, lounge seating, coffee tables, laptop tables and lamps. This space is a dedicated area for “business incubation,” where start-ups can flourish and career changes are supported. 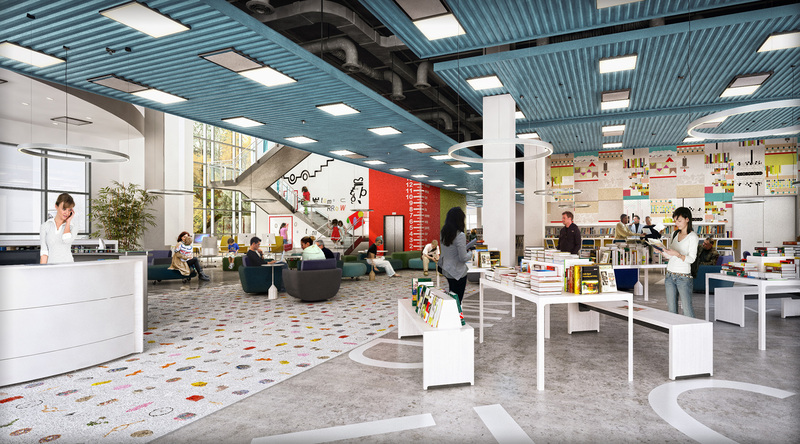 The space should feature group study spaces, innovative technology, staff support and collections access, so that customers can advance their business and career goals with the tools to succeed. Farm tables, or long tables that will seat at least 10, as well as sofas and 2-seaters with high backs, are a great way to evoke the co-working look and feel of urban incubators. 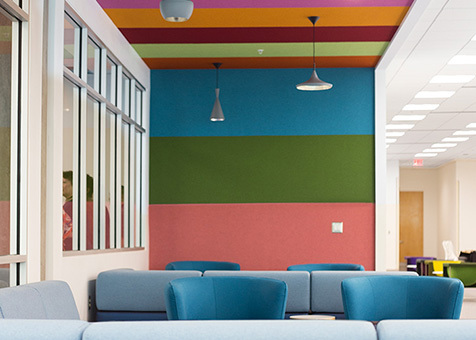 This is a flexible space that transforms based on new ideas that fill patrons with a sense of surprise and delight. 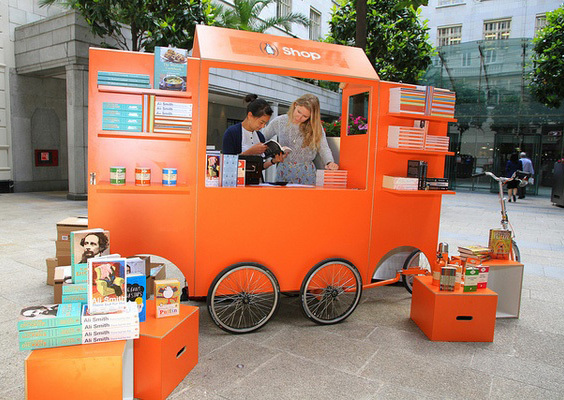 Pop-ups can be characterized as any space, display or dedicated non-traditional furnishings that present library materials and programs in an unexpected way or allow librarians to experiment with non-traditonal services. 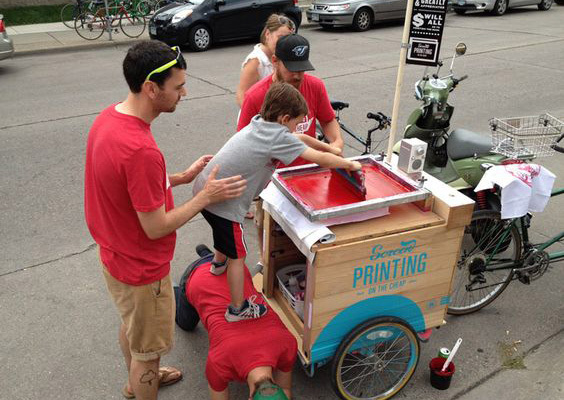 Pop-ups can be anything from a bike cart to an outdoor reading garden to a dedicated room with rotating displays and programming. These are outdoor spaces that invite relaxation, reflection, community activity and inspiration. Gardens can represent any outdoor programming space that allows the library building to mazimize its programming. 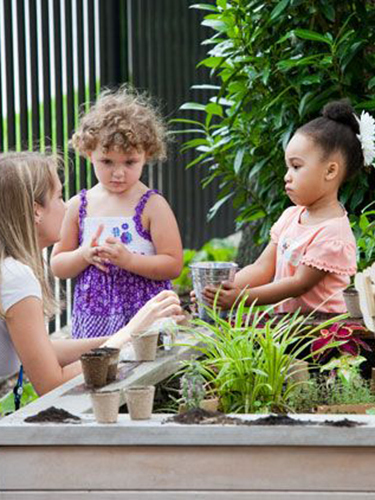 An outdoor garden can be a storytelling garden, a community garden to foster healthy eating and community activism, or a garden for plant enthusiasts. It can even provide an outdoor space for STEM and arts programming. When designing outdoor spaces for libraries, we design them with the same care and intention as our indoor spaces, and we specify furnishings, such as bistro tables and chairs, picnic tables and outdoor lounge seating, for comfort and flexibility. We even will specify children’s furnishings and toys, such as blocks, water tables and outdoor playhouses. 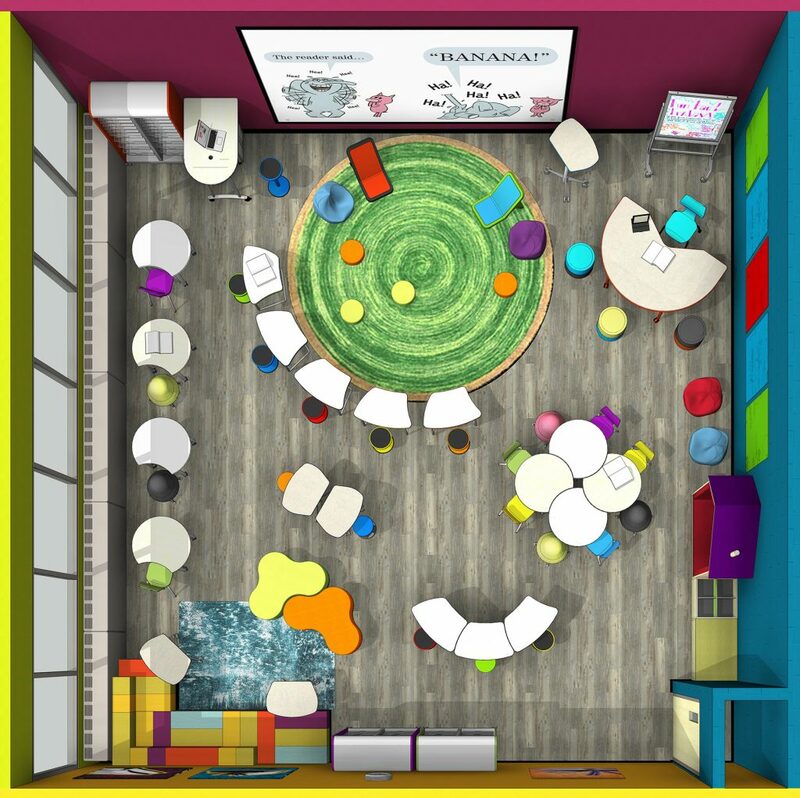 Look all around you — the more you observe the places you enjoy and the more you think about what feeds your learning, your relaxation and your socialization, the more you will be empowered to create the places that nourish the library experience for positive placemaking! Margaret Sullivan is the Principal at Margaret Sullivan Studio, a full service design firm in New York. She is also a LEED® 2.0 Accredited Professional and a leader in visioning and designing innovative cultural centers, with a special focus on public libraries. She skillfully collaborates with stakeholders and the design team to gain a holistic understanding of the 21st-century public library delivery service model. Her specialty is translating innovations into physical spaces. Margaret worked for several prestigious architecture firms prior to establishing her own firm in 2014. Her firm is currently working on projects with several public libraries, including New York Public Library (NY), Richland Library (SC), Las Vegas-Clark County Library District (NV) and Salt Lake City Public Library System (UT).